It's a beautiful autumn day, and Robin is happily singing away on his branch when he notices that something seems different. All the other animals are busy scurrying, scampering and fluttering around. 'What's going on?' Robin asks. The finches reply that they're getting ready to fly south because 'Winter is coming'. The squirrel explains that he's burying nuts 'before Winter comes'. The owl isn't going anywhere but he warns Robin that he'll need to make sure he stays warm and snug 'when Winter comes'. Oh no! Winter must be awful! He's so scary that the finches fly away. He's so greedy that squirrel hides his nuts. And he's so cold that owl needs to warn Robin to take care. So imagine Robin's surprise when he wakes up one morning to find his world blanketed in beautiful snow. It turns out that Winter is … wonderful! Not only is this an absolutely gorgeous story about celebrating the seasons, it also deftly delivers a gentle message that it's often a good idea to keep an open mind when it comes to new experiences. Suzanne Barton's debut picture book, The Dawn Chorus (see review here), was shortlisted for the Waterstone's Children's Book Prize. 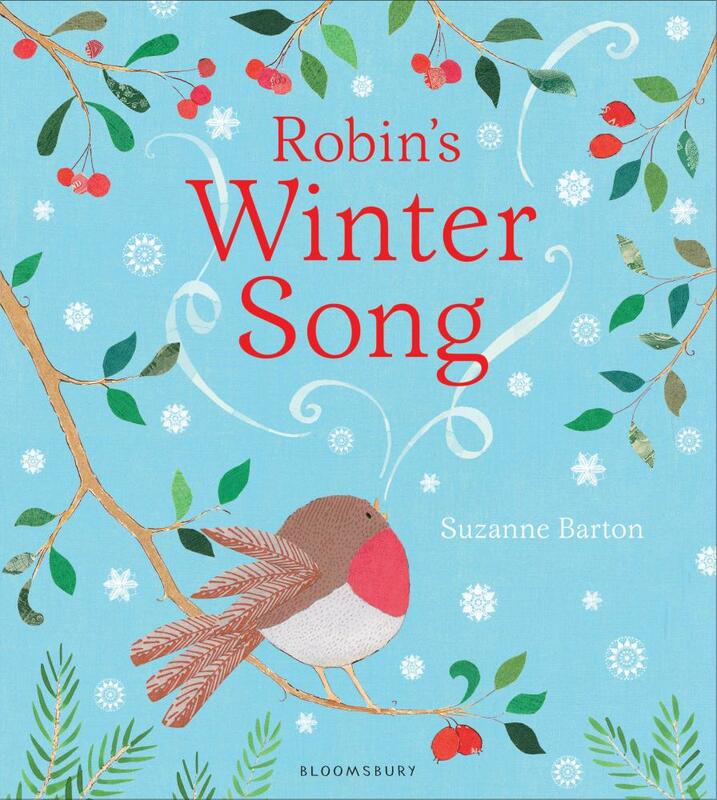 With Robin's Winter Song she confirms that she is a major picture book talent.